Stephanie Wicker started music lessons at age 5. Fascinated by the piano from early on, she studied classically through age 21, culminating in a music degree from Western Washington University where she was a piano performance major. Upon leaving WWU, she moved to Seattle, taught herself guitar and went on to play in numerous bands in Seattle as either the singer/songwriter, keyboardist, guitarist, or some combination of the three. 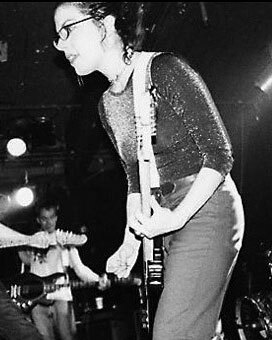 Stephanie also performed backing vocals on a couple tracks for Long Winters (the band that John Roderick went on to start after the Western State Hurricanes). Her career as a Seattle musician spans over 20 years, and Stephanie continues to play music with her band Like Lightning and as a full-time private music teacher. Like Lightning has a full length release in production.